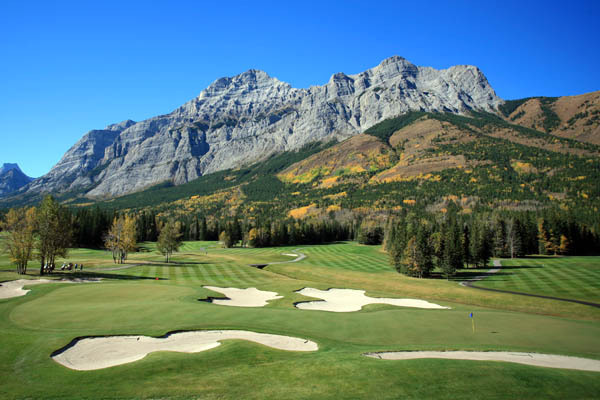 Kananaskis Country Golf Course was a magnificent 36-hole layout designed by renowned golf-course architect Robert Trent Jones Sr., who described the Kananaskis River Valley as “the best spot I have ever seen for a golf course. The course was destroyed by flooding in June 2013. In 2014 the Alberta government announced that money had been set aside for a restoration project originally slated for completion in 2016. A change of provincial government in early 2015 saw the project put on hold, but in September it was announced that both courses would indeed be restored, although no completion date was given. 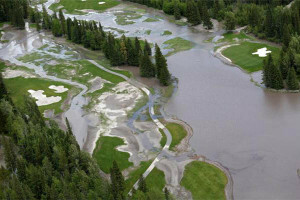 It is with a heavy heart that we announce Kananaskis Country Golf Course is closed for the 2013 season. Record rainfall has caused severe flooding throughout our valley, making both the Mt. Kidd and Mt. Lorette layouts impassable. While we cannot measure damage until the waters of our rivers and creek beds recede, it will be some time before the courses will be playable. Full refunds will be given to all with a confirmed tee time, including corporate golf groups. For the time being, we ask that calls to the golf course are limited to those urgent in nature, as we will be operating with limited staff during this time. We are thankful that our staff and their families remain safe, and deeply appreciate your support and patience as our community recovers. 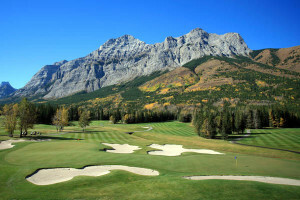 We will continue to update our website (www.kananaskisgolf.com) and Facebook/Twitter with news as is warranted. Our thoughts remain with those in our region during this time. For updates on the future of the course, check out the of Kananaskis Country Golf Course Facebook page by clicking here.